The most obvious benefits of implementing an aviation safety management system are the marked improvements in safety. Just to give you an idea of exactly how successful aviation SMS programs have been, the only statistic you need to know is that 20 years ago there were four times as many workplace accidents as last year. Airlines and airports can literally live or die by their safety reputation. Alaska Airlines is a great example of (a primarily West Coast) airline in the United States that has become the outstanding choice for consumer to fly with largely because of safety and quality practices. They were successful enough to recently become the primary business holder in a merger with Virgin Airlines. 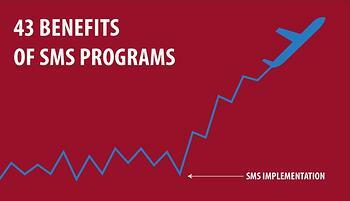 Here are the major business benefits of adopting an aviation safety program.